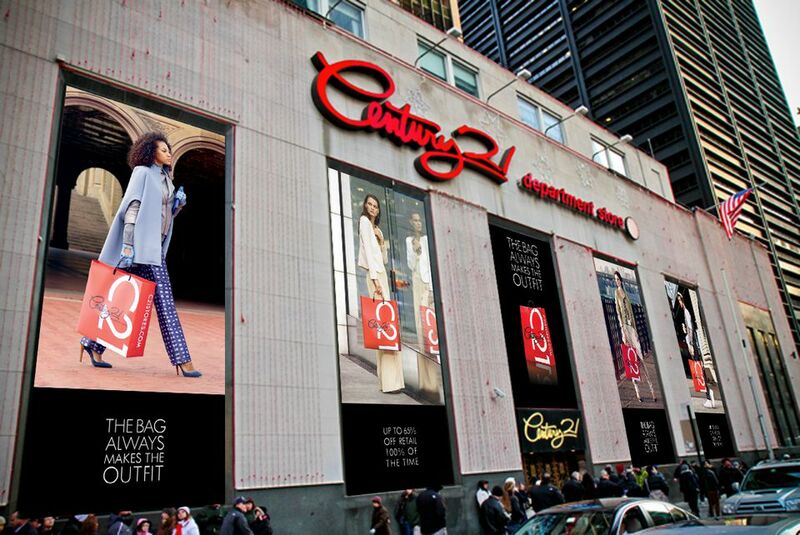 For more than half a century, the New York City-born ​Century 21 discount department store has been a mecca for the deal-hunting masses who come in search of designer goods at deeply discounted rates. Merchandise is priced at up to 65 percent off of retail rates, with high-end fashion items leading the charge. Patrons, both deal-dazzled tourists and devout locals alike, flock to shop for clothing (for women, men, and children), footwear, outerwear, lingerie, and fashion accessories (including handbags) as well as a home goods department. Century 21 has two locations in Manhattan: its Downtown headquarters in the Financial District and a newer Lincoln Square outpost that debuted in 2012. The chain also has other locations in Brooklyn, Long Island, New Jersey, Philadelphia, and Florida. The Downtown store is located across the street from the World Trade Center site at 22 Cortlandt Street, between Broadway and Church Street. The Lincoln Square store on the Upper West Side is located at 1972 Broadway between 66th and 67th streets. Penny-pinching fashionistas rejoice: Some reported finds from top designers have included a Gucci men’s suit for $300, Moschino women’s leather gloves for $75, Stella McCartney sunglasses for $40, and DKNY men’s suede loafers for $80. The store advertises discounts at as much as 65 percent off, though you might find merchandise marked down even further. In the massive, multi-level Downtown store, which serves as Century 21's flagship store and has six selling floors, and the smaller Lincoln Square location, which is not too far behind with five levels of retail, racks of deeply discounted apparel are loaded with options from top American and international designers for men, women, and children. You can look for pieces by Diane Von Furstenberg, Kate Spade, Vera Wang, 7 for All Mankind, True Religion, Joe's Jeans, J Brand, Adrianna Papell, Missoni, and Derek Lam, among many other A-list clothing labels. Shoes, coats, suits, lingerie, and accessories are also up for grabs—be prepared to dig through discount racks in search of hidden treasure. However, you should also be aware that many of the collections are from the last fashion season or earlier. In the Downtown location, housewares are available, too. They include designer bedding from brands like DKNY, Tommy Hilfiger, Hugo Boss, Lacoste, and Vera Wang, among others. Across the department store, new merchandise arrives daily. Downtown's Next Century, which made its debut in November 2014 as C21 Edition and was reborn as Next Century in November 2017, is a concept store that serves as a premium annex to Century 21's department store. At Next Century, shoppers can expect an elevated shopping experience with luxury designer fashions, pieces from new designers, and vintage haute couture finds. You'll also see labels like Balenciaga, Gucci, and Dior, and keep a lookout for private sales and events, along with special collaborations with designers. The 3,100-square-foot, three-level space is more boutique than department store and includes a coffee cafe and nail art bar. The shop is located at 21 Dey Street at the corner of Church Street and opens seven days a week at various times—check the official Next Century website for more information on deals, hours, and locations.